In a recent development, the US government added Pakistan, China and Saudi Arabia along with a few other countries to a blacklist of nations where violating religious freedom and the rights of minorities is on the rise. US Secretary of State Mike Pompeo said he had designated Pakistan among “countries of particular concern” in a congressionally mandated annual report, meaning the US government is obliged to exert pressure to end freedom violations. Human-rights organizations and journalists have already pointed out Pakistan’s violations of freedom rights and the oppression of minorities, but neither the government nor a large section of population has given any attention to this fact. Pakistan is already on the watch list of the Financial Action Task Force (FATF), and now being blacklisted as a country where religious freedom is usurped will add more worries over its standing in the global community. The fact that the US has put Pakistan and not India on this blacklist clearly states that the diplomatic ties between Islamabad and Washington are not good. In any case, Pakistan being named as one of the worst countries for religious freedom and expression endorses the fact that despite paying a heavy cost for spreading extremism in society, the country is still not ready to give space to its minorities. According to a Human Rights Watch report, at least 19 people were put on death row in 2017 after being convicted of Pakistan’s blasphemy law, and hundreds awaited trial. Most of the people facing these blasphemy charges are members of minority groups. The HRW report further states that discrimination against members of the Ahmadi community remains changed, while militant groups continued to attack Shiites and the followers of the Sufi strand of Islam. The majority of the population of Pakistan still thinks that it is superior to other nations in terms of faith and that God has chosen it as a favored nation that is entitled to conquer the world. This belief is instilled in children the day they start speaking and understanding. In most schools and colleges, the message is repeated again and again. A large chunk of the population live below the poverty line and send their kids to religious seminaries for educational purposes, as they cannot afford traditional education for their children. These seminaries are owned by the different sects of Islam, and each seminary teaches its own interpretation of the religion to the students. As a result, not only do the students begin hating people who have different religious beliefs but they are also made to believe that the people from other sects of Islam are sinners. But this is not limited to the clerics or the pupils of the religious seminaries. Even educated families who send their children to private schools for the purpose of modern education somehow deprive them of critical thinking by teaching them to follow blindly the theological interpretations of their respective sect. This creates a belief system even in educated minds that their sect is the right one and all other sects are sinners. As for the , Hazara and Christians, they are considered third-rate citizens and marginalized economically and socially for their religious beliefs. 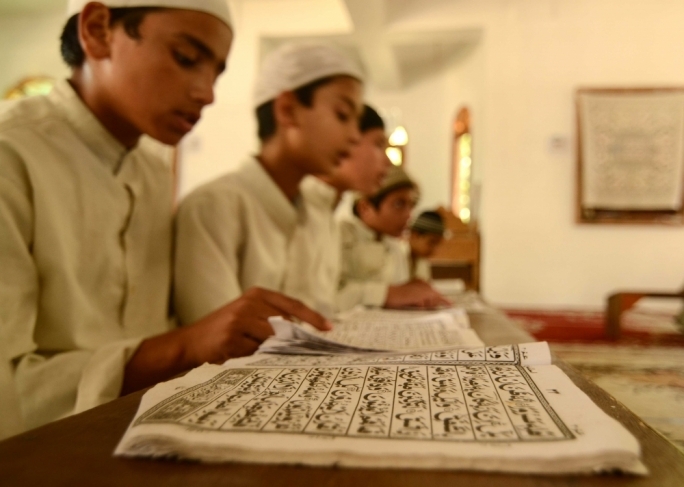 The Pakistani state has never made serious efforts to change the educational syllabus or to bring structural reforms to the seminaries and the laws pertaining to blasphemy, fearing a backlash from the clerics and their followers. The right to differ in fact has never been given to the citizens of Pakistan. Since there is no concept of dissent, and a large chunk of the population see opposing views and beliefs as threats to their own beliefs, giving birth to the extremist mindset. Differing in political views or with the state narrative is considered treason, and having an opposing view against the prevailing religion is considered a sin that can result in the instant death of the dissident. This leaves no room for debate to improve the interpretations of the religion according to the modern age. The minds deprived of the right to differ from the early age and fed with religious narcissism do not tolerate pluralism in the society and they somehow believe that to marginalize the religious minorities is their religious duty. Then there is the factor of moral policing. Moral policing is being taught in homes, in the colleges, and in the universities. According to this concept, the West is morally bankrupt and is also trying to morally bankrupt Muslims by encouraging them to indulge in alcohol, sexual activities and other activities that are related to pleasure. This creates hatred for minorities and for the whole world, as they are not only perceived as sinners for indulging in activities that are forbidden by the religious belief of most of the population but they are also deemed conspirators who want to destroy the social and religious fabric of society by exploiting youth through pleasurable activities. The moral policing concept also gives birth to the habit of checking other citizens’ beliefs and character on the basis of religious interpretations of the clerics of the different sects. The journey toward betterment in terms of religious freedom and expression is only possible through a pluralistic society. The education system needs to be reformed and children should be taught to co-exist with minorities and with the other populations of the world who have different religious beliefs. The state needs to initiate a debate on the laws pertaining to blasphemy, and it needs to act as a guardian for the citizens rather than a prosecutor while dealing with blasphemy cases. The religious groups involved in sectarian violence or in spreading hate against minorities like Ahmadis, Shiites and Christians should be banned. The moral policing concept needs to be done away with, and Pakistani citizens should be given the right to choose the way they want to live their lives. The meaning and importance of life should be taught to children from the beginning and they must be taught to cherish life and its beauty by listening and dancing to the tunes of peace and love instead of being taught to consider basic human instincts as sin. The more children enjoy life, the less they will care about the beliefs and lifestyles of minorities and other fellow citizens. Otherwise, the writing is on the wall, and it states that the modern world has no room for those societies that still prefer to live in the stone age and oppress the basic fundamental and religious rights of citizens granted by the United Nations.